In 2014, General Motors admitted to serious defects with the ignition switches in millions of its vehicles. The switches could slip out of position, turning off the car’s engine and disabling both the brakes and power steering, leaving the car difficult to control. According to Bloomberg.com, the auto manufacturer has recalled 30 million cars since then, and paid at least $870 million to settle death and injury claims, as well as another $900 million to settle a federal criminal investigation. Now, in one of the first product liability suits to be brought against GM stemming from the faulty switches, a jury has concluded that the plaintiff’s Saturn Sky was unreasonably dangerous – and yet, awarded no damages. How can this apparently contradictory verdict make any sense? 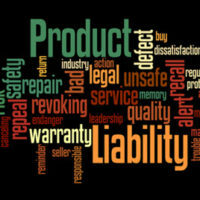 The law of product liability explains how. Manufacturing defects. A manufacturing defect occurs during the product’s manufacture. Only a few of the products have this flaw. Design defects. A product that has a design defect has an inherent flaw and cannot be made safely. This kind of defect exists even before the product is made, and all products made with this design share the same flaw. Marketing defects. Products with marketing defects may be unsafe due to their nature, but the manufacturer has failed to warn of dangers that would not be obvious to the consumer, or failed to give proper instructions for the item’s use. Proving a product is unreasonably dangerous, however, is not enough to establish liability. The product’s defect must also be the cause of plaintiff’s injury. GM admitted that its ignition switches were defective, and the jury found that the defect made the plaintiff’s car unreasonably dangerous for the use for which it was intended. But the plaintiff failed to recover damages because he could not prove that his accident was caused by a faulty ignition switch. In this case, plaintiff was in an accident on an icy Louisiana bridge during a winter weather emergency. The evidence showed that at least 30 other accidents occurred in the same place on the same night. The jury rejected plaintiff’s assertion that his accident was caused by the defect instead of the weather and road conditions. If you or someone in your family has been harmed by a defective product, the experienced product liability lawyers of Lesser, Lesser, Landy & Smith PLLC can help you obtain justice. Our firm has represented clients in West Palm Beach and throughout Florida since 1927. Contact us today for a free initial consultation.